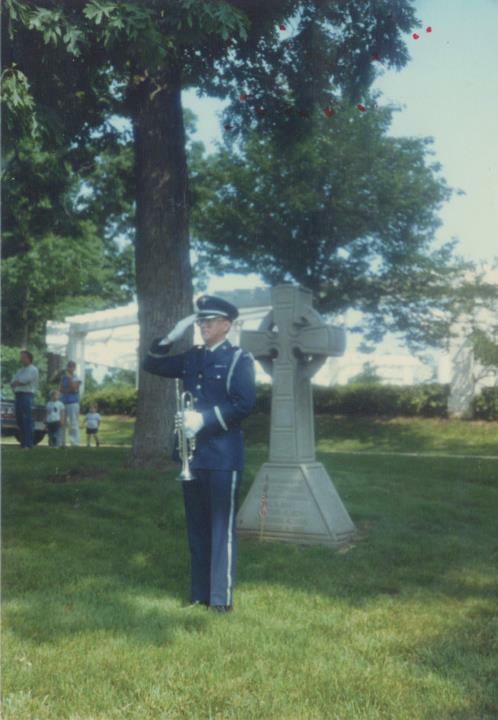 I was on active duty with the USAF Band from 1985-2008 as a trumpeter and bugler in the Ceremonial Brass. In 1988 I was assigned to sound Taps at the annual reunion and memorial service for the Flying Tigers, the famed WWII flying unit in China. (General Claire Chennault who led the Flying Tigers is buried next to the Old Amphitheater) The ceremony was held every year on the Saturday morning of Memorial Day Weekend. I was told to report to the Old Amphitheater, which I was told is located next to the Arlington House. My point of contact was a Mr. Robert Lee. OK, I thought. Go to the Arlington House and ask for Robert Lee. Maybe this was the hazing for the new guy, just like the 3rd US infantry regiment would tell the FNGs (a military term) to go to the First Sergeant and get the keys to Summerall Field. So you can imagine my trepidation at reporting early on the Saturday morning and walking around looking for an elderly Virginian around the Old Amphitheater. Turns out Mr. Robert Lee was a 5 ft. 7 Chinese gentlemen who had served in the Flying Tigers. When I explained who I was looking for he had a good laugh and we became friends. He made sure that every year when the bugler was requested my name was on the request form. I sounded Taps at the service up until they finally ended it due to the very few remaining members left. Every year he made sure I would be recognized and sometimes given a token of appreciation of some sort of 8th AF coffee mug or patch. It was something I always looked forward to and was sad to see it end. Also, each year the service was also attended by the ANC Superintendent, Mr. John Metzler. You can imagine how busy he was on Memorial Day, yet he took the time to attend this special ceremony in honor of the Americans and Chinese who served in this special unit. Through these ceremonies I became acquainted with Mr. Metzler and that led to working with him on having the Taps exhibit at Arlington and moving the JFK Bugle to its display spot in the Welcome Center. I’m grateful to Mr Lee and Mr Metzler. 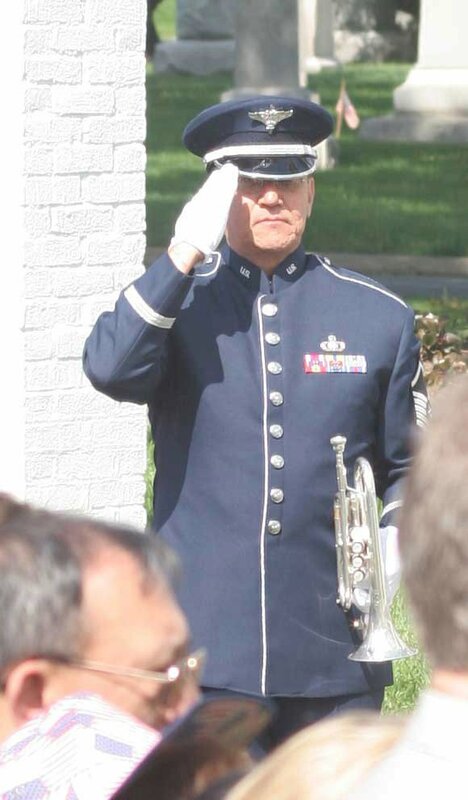 This entry was posted on Friday, May 25th, 2018 at 6:11 am	and is filed under Bugle Stories, Buglers Through History, General Interest, Getting Started on the Bugle, History of Taps, News. You can follow any responses to this entry through the RSS 2.0 feed. You can leave a response, or trackback from your own site. Jari, What kind of Horn are you playing? Is it a shepards crook cornet?